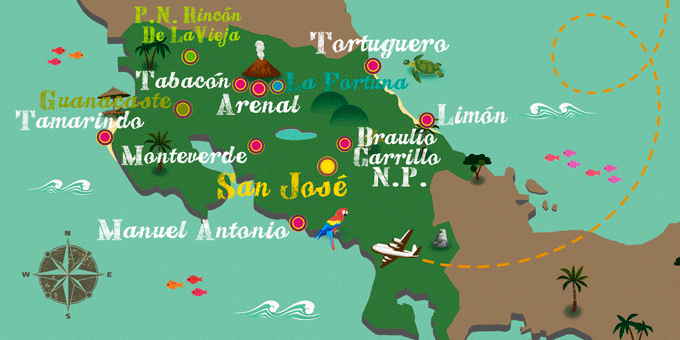 Costa Rica is a very joyful country that has a variety of festivities where you can enjoy music, dancing, and gastronomy, the delights of the country. Due to its strong Catholic tradition, many of its celebrations are related to religious holidays and include visits to churches, processions, and offerings. Its cultural mix inherited from rich history is celebrated in other events associated with the past colonization, the union of the country and successful battles. Also, the agricultural and livestock activities of the country and the precious indigenous culture are celebrated throughout the year in a number of events.